Contrary to popular belief, there's nothing wrong with saying "Xmas" instead of "Christmas." Some people would like to think that the word "Xmas" is a part of a grand conspiracy to take Christ out of Christmas. 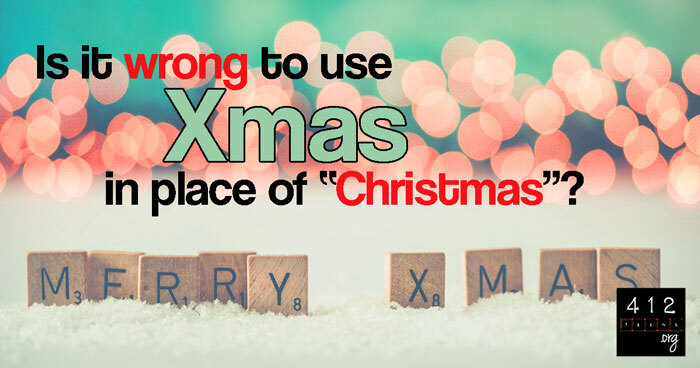 While it is true that there are some people who will use "Xmas" in that way, the reason for the X being there has nothing to do with any "war on Christmas" or secret purpose to obscure the name of Christ. In the original language of the New Testament, the word for "Christ" begins with the Greek letter chi, which basically looks like the English letter X. "Christ" in Greek looks like this: Χριστός. Dating back to the 16th century, people started using "Xmas" as a shorthand for "Christmas" because the X stands for "Christ." In fact, if you start looking into historical symbols used within the Christian church over the centuries, you'll find that using X as a symbol for the name of Christ is pretty common. Simple as that!